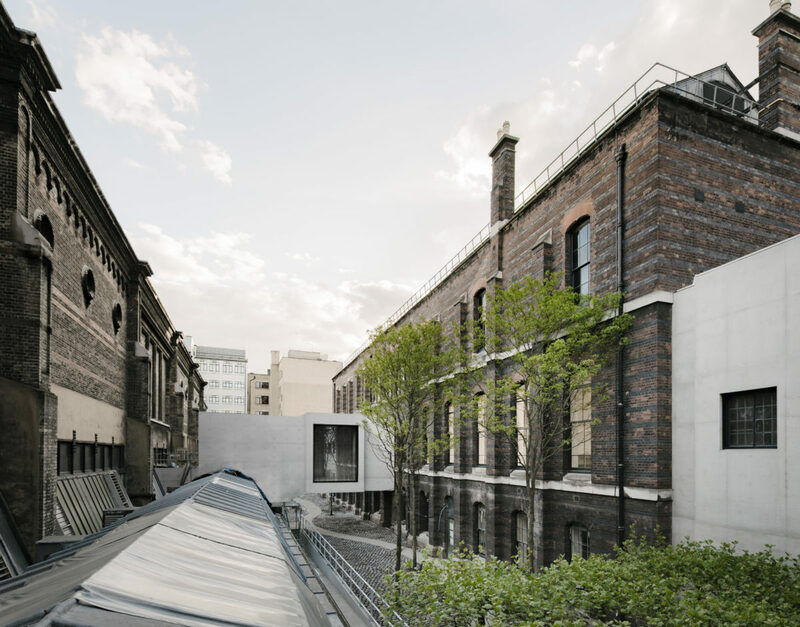 To commemorate the 250th anniversary of London’s Royal Academy of Arts, acclaimed British architect David Chipperfield has updated the institution’s design. 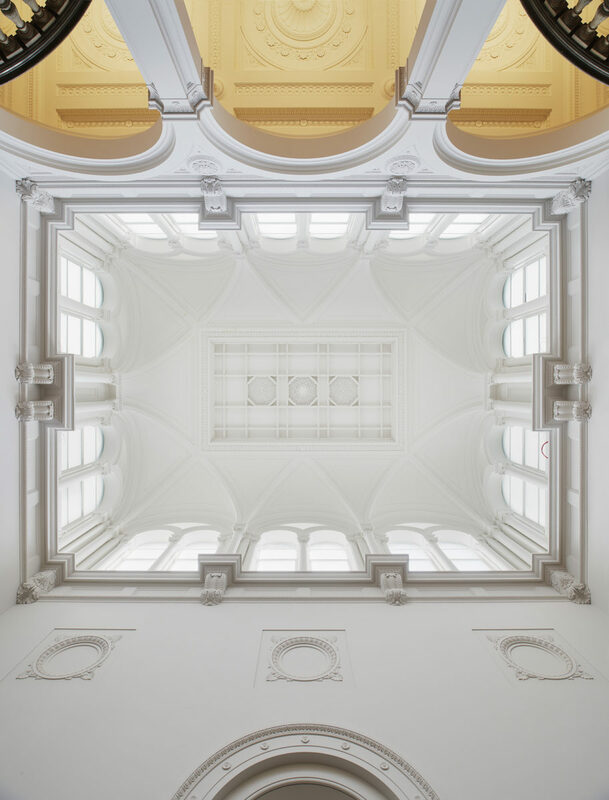 In his upgrade of the RA, the architect has renovated gallery space and built a new auditorium. Perhaps his most consequential alteration to the RA, however, is unifying the institutions 6 Burlington Gardens building with Burlington House, the Academy’s main site located on Piccadilly. Prior to Chipperfield’s renovation, major discordance existed between these two buildings. Until recently, the Burlington Gardens building was physically and ideologically distinct from its counterpart on Piccadilly. Situated north of Burlington House and facing the opposite direction, the late nineteenth century building was purchased by the RA in 1998. Despite various modifications over the years, the design of the Burlington Gardens continued to be less popular with visitors. Chipperfield’s renovation has sought to solve this problem. His solution: a concrete bridge connecting the Burlington Gardens building to its neighbour by the main entrances of the buildings. The link between the two sites takes shape in the form of a brick-vaulted corridor beneath Burlington House through a bridge in the centre between the two buildings. 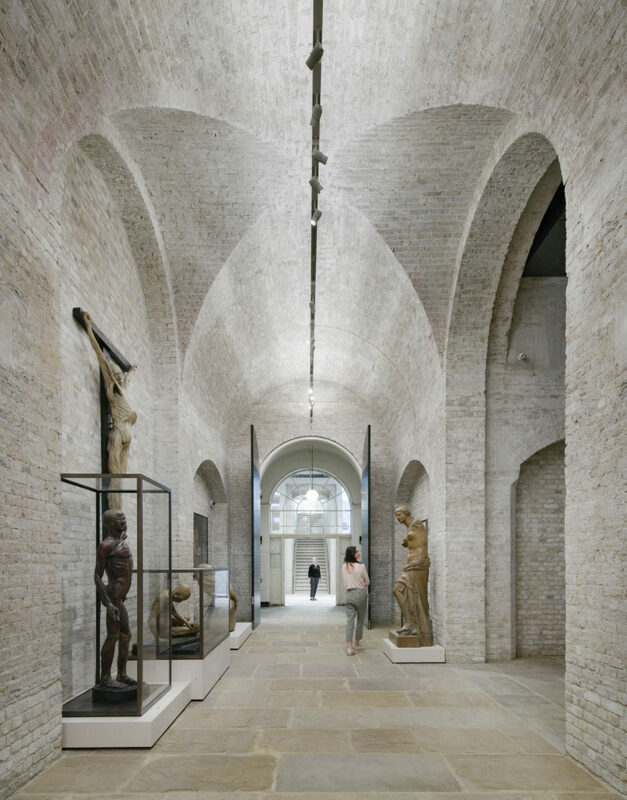 The British architect’s refurbishment extends to the interior of the Burlington Gardens building, which has been modernised to better function as a gallery space. 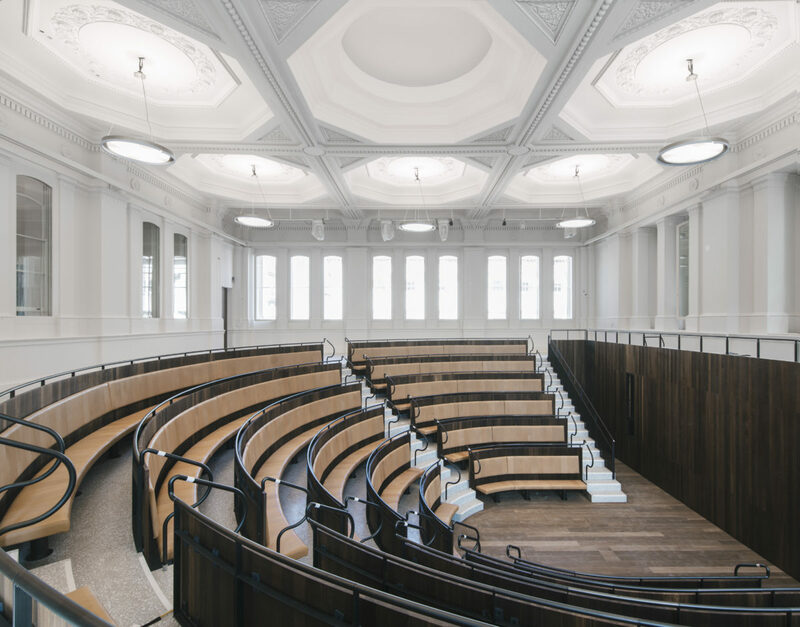 The site also now houses a new auditorium, the Benjamin West Lecture Theatre, which has a semi-circular design reminiscent of classical amphitheatres. The space is naturally lit by numerous clerestory windows and seats 250 people. Chipperfield’s design background is expansive to say the least. In 1985, the architect founded his practice David Chipperfield Architects. Since its founding, the practice has tackled a wide array of commercial, residential and cultural design projects. Outside of the RA, Chipperfield has a history of delving into museum projects, having worked on the Zhejiang Museum of Natural History in China, the Neues Museum in Germany, and the Saint Louis Art Museum in the US, among others. An exemplar of Chipperfield’s coherent design is The Hepworth Wakefield: a purpose-built art gallery in West Yorkshire dated 2003-2011. Chipperfield’s design pays homage to the gallery’s namesake, English artist Barbara Hepworth, who was born in Wakefield. Situated on the edge of a headland, the structure looks monolithic. Comprised of distinct forms, each catering to a unique space within the gallery, the building’s geological form and undistinctive facade echo the surrounding natural landscape. The monumentality of Chipperfield’s design is most palpable on the gallery’s north side, where the building seamlessly joins with the river. Through an organic facade made of in-situ concrete and gallery spaces which offer open views of the outdoors, Chipperfield connects the gallery’s artworks to the area where the artist was raised. David Chipperfield Architects has earned numerous international awards for its achievements in design. Chipperfield’s design of the Museum of Modern Literature in Germany won the architect the Royal Institute of British Architects Stirling Prize in 2007. Additional honours and citations for the architect include awards from the Royal Fine Art Commission and the American Institute of Architects, as well as the Mies van der Rohe Award in 2011, the European Union Prize for Contemporary Architecture.